Hi, I’m Matt Slater. I work as Marine Awareness Officer at Cornwall Wildlife Trust. I grew up in Falmouth and while my parents were keen sailors I was obsessed with everything that lives under the water. 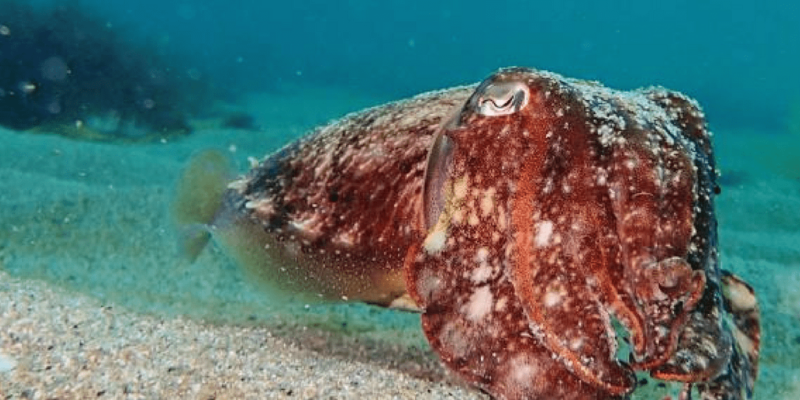 I trained as a marine biologist and after travelling the world came back home to settle in Cornwall; there is nowhere else in England that I would live! 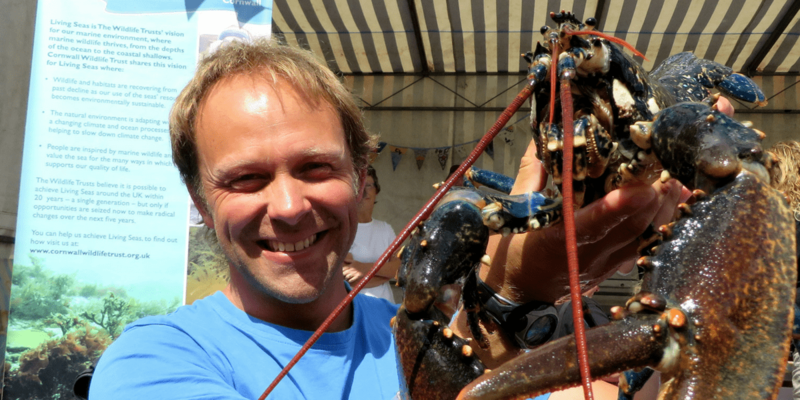 Since then I have worked as a fisherman, an aquarium curator and now as a marine conservationist, running our Shoresearch Cornwall ‘rockpool survey project’, the Seasearch dive survey programme and I also run the award-winning Cornwall Good Seafood Guide website. I am extremely lucky to have my job and I never cease to be inspired by Cornwall and its amazing marine life. I love the coastline, our beaches, our incredible rockpools and underwater landscapes and creatures! From an early age, I have loved nature and I hate the way that humans are trashing our planet. Where is your top place to explore wildlife? The best rockpooling in the UK in my opinion can be found at Swanpool beach and the muddy beach in front of The Greenbank Hotel is full of cool marine life too on a good low tide. My whole family are into surf lifesaving and we hang out at the surf club hut at Holywell Bay most evenings and every weekend. I also spend quite a bit of time surfing with my dog – check her out on Facebook Mango the surfing dog! Why is it important to protect Cornwall’s wildlife? It’s one of the most valuable assets we own. It’s a massive draw for tourism. I believe that wildlife and wild spaces are what makes Cornwall a great place to be. What’s the biggest problem to hand with keeping our wildlife safe? I’m worried that as we continually develop Cornwall we run the risk of ruining the thing that we all love about the place; the incredible wildlife and wild spaces. What can people do to make a difference? 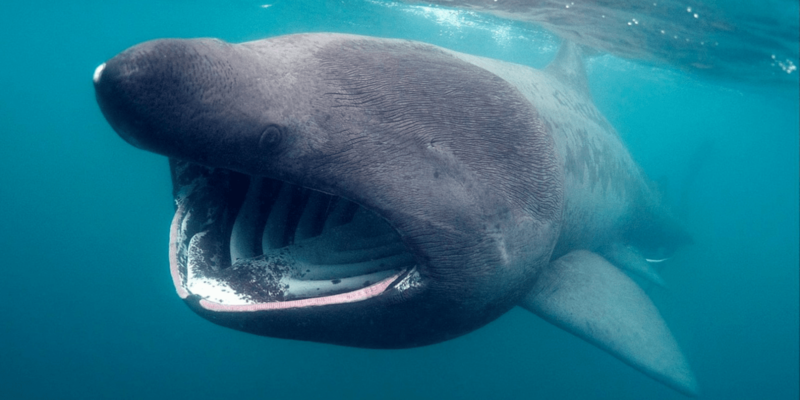 If like me you love the sea, join your local marine conservation group. The Your Shore Network created by Cornwall Wildlife Trust now supports volunteer marine groups all over Cornwall. Come along on a rockpooling day, have a go at snorkelling and take part in a beach clean. Find out more at www.beachrangers.org. What’s your favourite species of wildlife and what can we do to protect them? 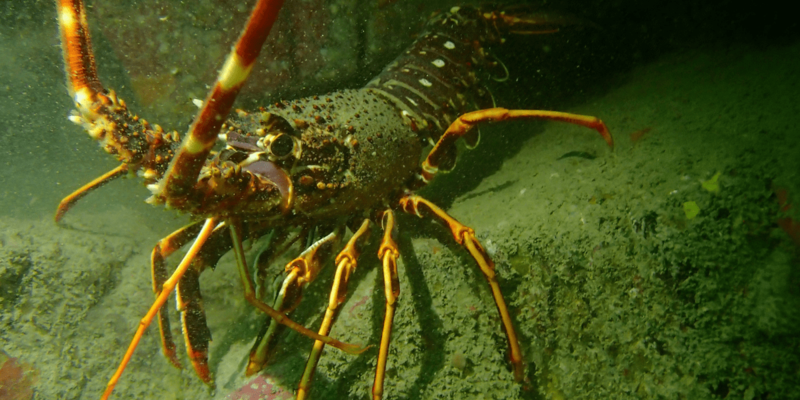 I love crawfish (also known as spiny lobster) – they are incredibly beautiful creatures that were virtually wiped out by over fishing in the 1960s and 1970s but in recent years we have been seeing more and more of them when diving all around Cornwall. Sadly for them they are a delicacy and the worry is that they will quickly get over-fished again if we’re not careful. Please don’t eat them if you see them offered for sale and if you are a diver and you see one don’t kill it. Please leave it where you find it and report the sighting to Cornwall Wildlife Trust. Why is it important for Cornwall to make a difference? We should set a great example to the rest of the country… and the world! Want to find out more about what Matt does and wildlife conservation? Be sure to check out Cornwall Wildlife Trust for more information.